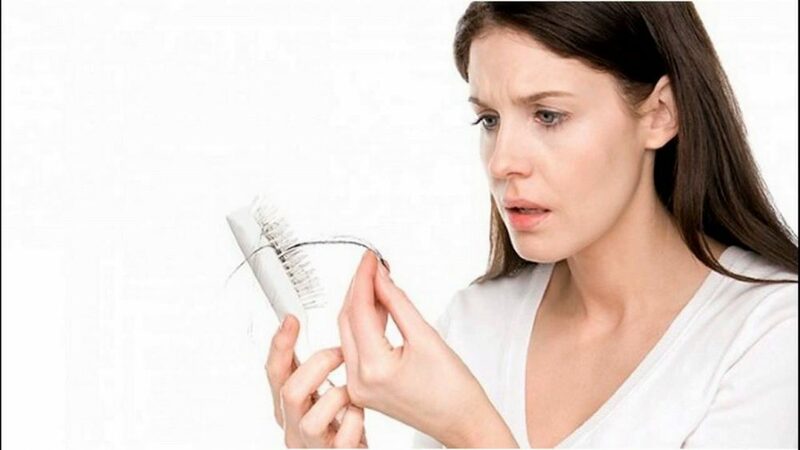 One of the most common causes of hair loss in pre-menopausal women is not hormones, but a nutritional deficiency, with depleted iron stores being one of the most important factor. Iron is the mineral that occurs in the greatest amount in the blood. The most important function of Iron in the human body is helping the production of both hemoglobin (the substance that carries oxygen withing red blood cells) and myoglobin. Myoglobin is a form of hemoglobin found in muscles. Iron is also involved in the oxygenation of your body’s red blood cells. It is understood that levels of iron play a significant role in various body functions, however, it is also essential for the normal growth and maintenance of hair. If the amount of energy used up by the body is not replaced by food intake, then other non-essential stores will be used up. Unfortunately, this means the hair cells as they are not a vital part of living. In order to maintain an adequate balance of iron in the body, the amount excreted must be replaced by the amount ingested in the diet. When the amount of dietary iron absorbed is insufficient, a negative iron imbalance occurs, and consequently iron stores are called upon to make up the deficit. It is important to note that iron deficiency (low iron stores, i.e. low ferritin) can occur even if the patient is not clinically anemic and has normal hemoglobin levels. There may be a number of reasons why the amount of iron absorbed is not sufficient. Firstly, only about 10% of ingested iron is absorbed into the blood each day, and this is dependent on the type of food in the diet. Certain foods may inhibit the absorption of iron, such as tanins found in tea and coffee, also bran and egg albumin. Whereas other foods may be enhance the absorption of iron, i.e. vitamin C, alcohol, and flesh foods. In general you can loose iron by: intestinal bleeding, excessive menstrual bleeding, poor digestion, long-term illness, ulcers, and heavy use of anti-acids. You can maximize your iron absorption by eating a combination of iron-rich foods such as red meat, green, leafy vegetables, shellfish, egg yolk, nuts and cereals with food or drinks that are high in vitamin C for example, a glass of freshly squeezed orange juice. Avoid tea until at least an hour after eating as it contains tannin, which interferes with iron absorption. One method of controlling iron deficiency in the body is to stimulate the liver to synthesize ferritin, the protein that stores iron in order to maintain the correct balance. 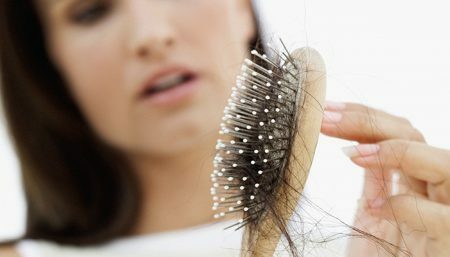 Hair follicles are known to contain ferritin, and when the circulating stores of ferritin decline then these stores are called upon to ensure support for more essential cells, such as bone marrow. The loss of this ferritin from the follicle cells can effect the ability of the hair to grow. This leads to the development of vellus (non pigmented fine hairs) which can be an early indication of deficiency. 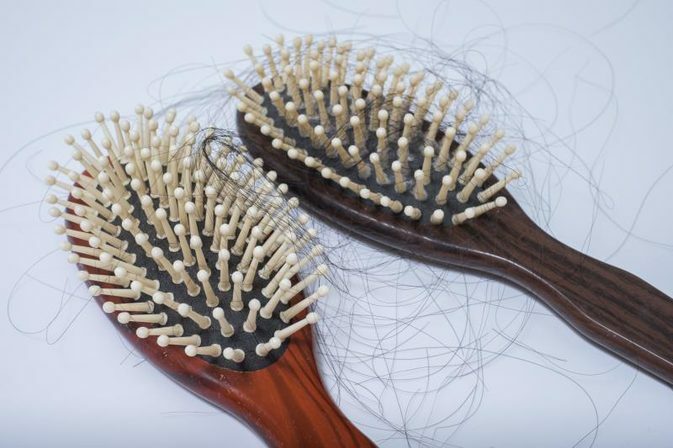 This type of hair loss, caused by deficiency, is easily treated and can be rectified. A lot of dermatologists agree that it is an important contributing factor. Serum ferritin concentrations of 40 ng/mL or greater are required for maintaining good hair while 70ng/ml is required for re-growth.